Track the blissful white in the Women's Dropway Jacket. 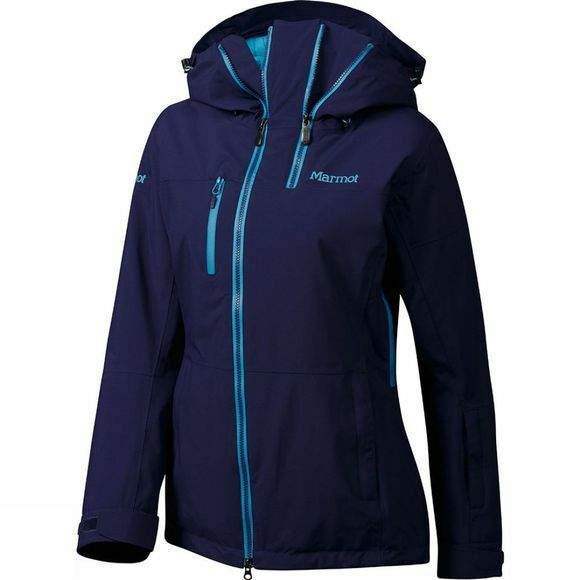 This insulated technical ski jacket boasts a sealed two-layer construction that blends the warmth of synthetic Thermal R insulation with the weather-protection of laminated Marmot NanoPro MemBrain. 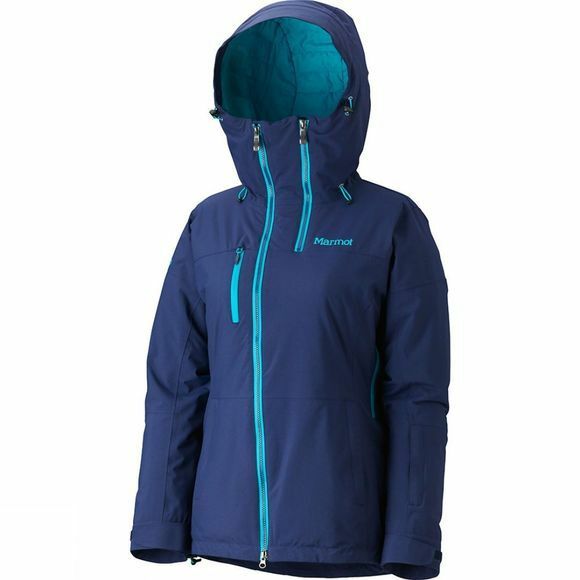 Marmot have zoned in on details by incorporating a helmet-compatible storm hood with a laminated brim, zipped neck gusset, PitZips and powder skirt, and dialed up the cache of comfortable extras for a totally enviable package.